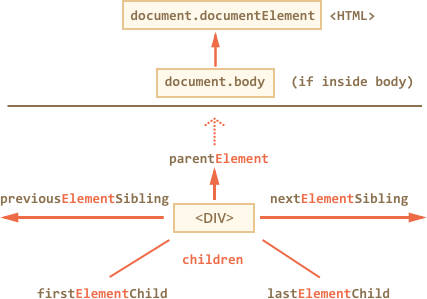 別の広く使われている DOM ノードは <body> 要素です – document.body. Collections are iterable using for..of. Sometimes people try to use for..in for that. 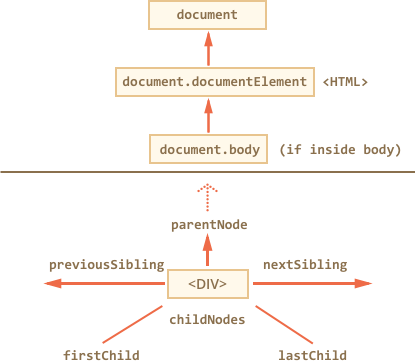 alert( table.rows.cells.innerHTML ) // "two"
すべてのノードを取得: parentNode, childNodes, firstChild, lastChild, previousSibling, nextSibling.